JNN 3 Feb 2015 TEHRAN – Iran on Monday sent its fourth domestically manufactured satellite, Fajr (Dawn), into orbit to mark the second day of the national ceremonies marking the 36th anniversary of the victory of the Islamic Revolution. Following the successful launch of the satellite, President Hassan Rouhani said Iran has entered a new stage in aerospace technology by sending the new satellite into orbit. “The prominent Iranian scientists and thinkers have entered a new stage in area of space sciences,” Rouhani noted. “The government is determined to continue the path of national progress and God willing, we will reach a stage in the future when all the country’s needs in the space field will be met by the hands of the powerful Iranian scientists and based on indigenized technology,” he added. 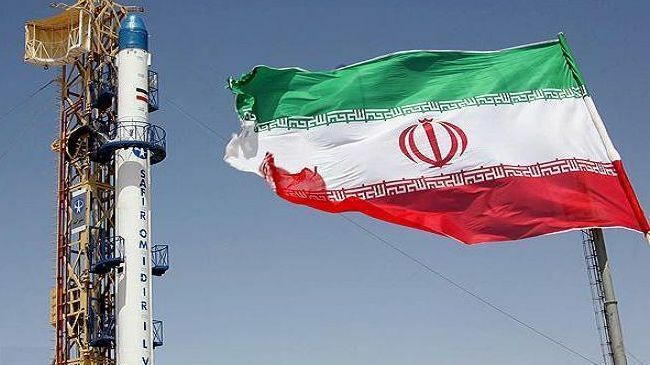 The Fajr satellite, built by experts at the Defense Ministry’s Aerospace Industries Organization, proves Iran’s high capability in sending satellites into orbit, Defense Minister Hossein Dehqan said. Dehqan also felicitated the Iranian government and nation on the successful launch of the Fajr satellite. Iran has, in recent years, made major breakthroughs in manufacturing satellites. On February 2, 2009, Iran launched its first data-processing satellite Umeed (Hope) into orbit. In June 2011, Iran also successfully launched its second satellite, dubbed Rassad (Observation), into the earth’s orbit. Rassad’s mission was to take images of the earth and transmit them along with telemetry information to ground stations. Later in February 2012, Tehran launched its third satellite Naveed-e Elm-o Sanat (Harbinger of Science and Industry) into orbit. This entry was posted in Iran News and tagged Fajr, Fajr Satellite, iran, Iran's Space Mission, President Hassan Rouhani, Satellite. Bookmark the permalink.